New Ownership Team | Utility Equipment Service, Inc.
Spring Hill, Tennessee (July 10, 2017) – Utility Equipment Service, Inc., the industry leader in servicing work and utility trucks throughout the southeast, announced an ownership change effective the end of March 2017. Previously owned by Hubert Cheek, the new ownership team is led by William Horton, the President of the company, and Cheek’s family members, Carter and Bill. The sale brings new life and excitement to UES, with a vision of continuing with the quality of work that has been done since 1981, while expanding the company’s product and service offerings. With Cheek’s family staying within the ownership team, the company keeps it’s strong work ethic and knowledge base of service fleet applications and modifications. 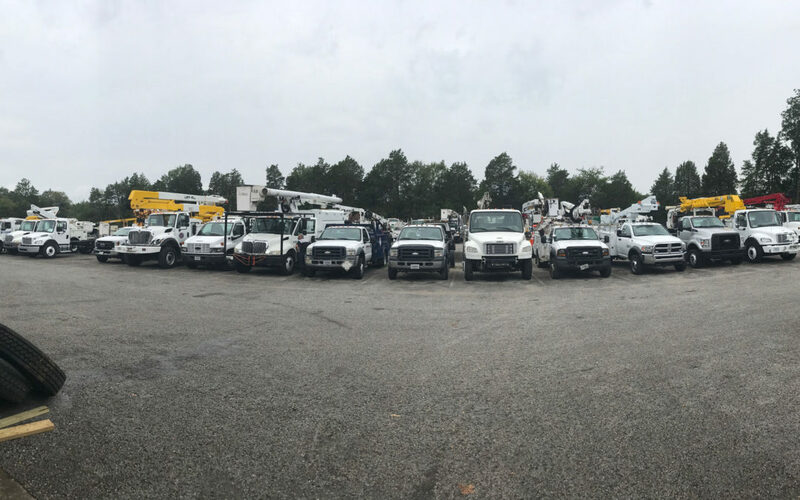 Utility Equipment Service, Inc. has serviced work and utility trucks in the southeast region since 1981. From new and used equipment sales to repairing your company’s work truck fleet, UES provides multiple services to help your work and utility vehicles stay on the road and onto the next job. For more information on Utility Equipment Service, Inc., please visit 1ues.com or call 1-800-433-4017.